The peloton continues northwards to Vicenza, with the Dolomites looming ominously. If cooked cat — as locals are alleged to have resorted to during the poverty-stricken world-war period — doesn’t quite whet your appetite for dinner, then try the famous Baccalà alla vicentina, a delicious stockfish dish served with polenta. 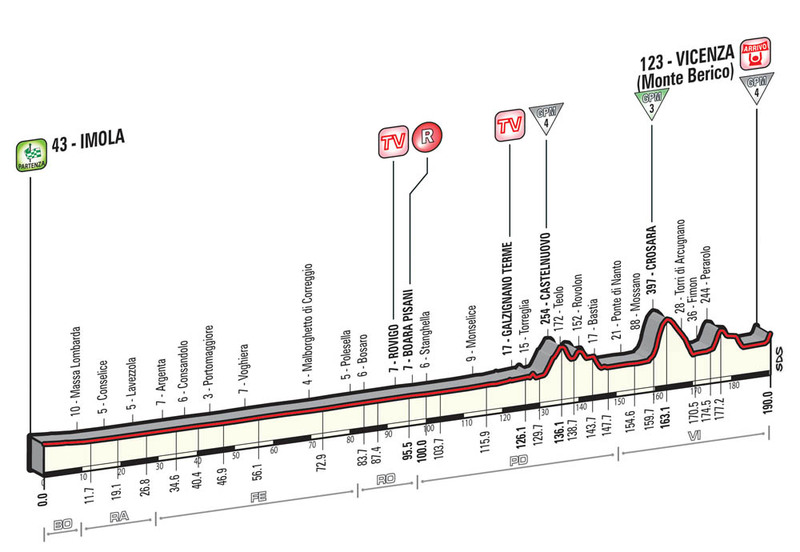 It’s yet another medium mountain stage at the Giro, although this one is distinct from other similar efforts. 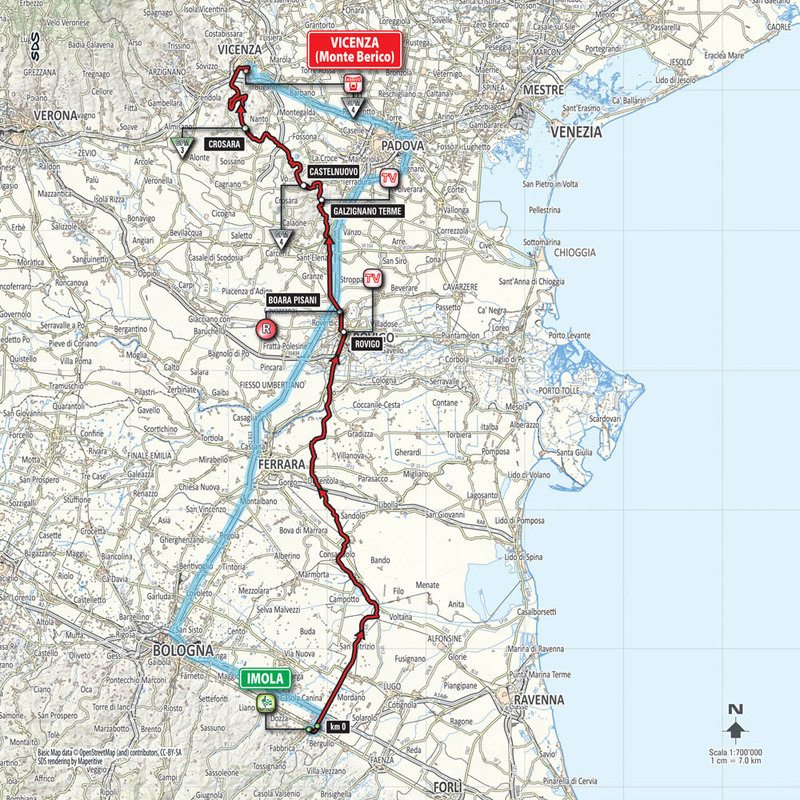 For one thing, the parcours is very bottom heavy, with a long opening flat section of 130km followed by a final 55km that feature all three of the stage’s categorised climbs. Then there’s the characteristics of these ascents — none of them is especially long but they do contain some of the steepest gradients of the entire race (a maximum of 23 per cent on the Monti Mossano) that will suit climbers with vicious accelerations rather than those with diesel engines. But the stage is still likely to come down to some form of sprint to the finish atop the Monte Berico. At approximately 1km in length and with an average gradient of nine per cent, it is comparable to finishes at the Ardennes Classics — anyone capable of winning Amstel Gold or Flèche Wallonne will fancy their chances.